Empowered, traditional mantras which invoke the help and protection of Panduranga, Hanuman, Durga, Shiva, Rama, Ganesha, Krishna, Lakshmi and Gayatri, set to new, rhythmic, upbeat music that inspires the soul and soothes the spirit! Here's what you'll hear . . . Designed to cleanse your energy bodies and external environments of negative energies and establish strong fields of protection; remove mental agitation and stress, restore balance and harmony, elevate your mood and help you stay positive and centered. 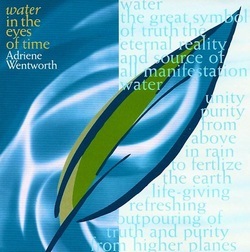 Adriene Wentworth presents the sacred sounds of AnaMata, Mother of all feminine energies. 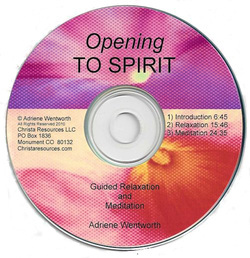 The ethereal, resonant mantras on this CD will help you reawaken your original channels to Divine Mother AnaMata, and call on Her energy for healing, empowerment and renewed balance of your feminine and masculine God energies. The music will take you on a mystical journey and help you remember your connection to Source and what can be accomplished when you heal the past and activate your Soul’s original potential. “We all carry within ourselves both masculine and feminine energies - both essential to our wholeness. Somewhere along our journey, we lost our access to the Source of Cosmic Creative Energy, interfering with our natural state of harmony and balance. Through my work, I discovered that the pathways leading to the Cosmic Mother were closed, preventing us from accessing the Cosmic Feminine Energy. With the support of my Spirit Guides, I have been able to reopen the deeply buried channels hidden within myself, reconnecting with the Cosmic Feminine Energy, manifested to me as AnaMata. AnaMata, Mother of all feminine energies has imparted Her sacred sounds to me. I now share them with you to invoke Her feminine energies for healing, empowerment and reuniting with both the Mother and Father aspects of God." 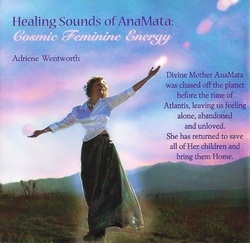 Buy ANAMATA HEALING SOUNDS Today! 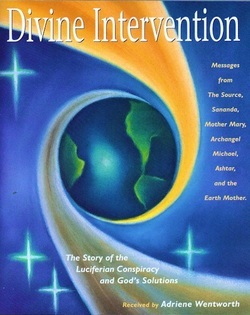 The Story of the Luciferian Conspiracy and God's Solutions. Buy Opening to Spirit today!